Where to go Flats Fishing in Playa del Carmen? Although there are surrounding Flats for fishing in Playa del Carmen, the best ones where you can fish 365-days, all year round, would be in the lagoons of Cozumel. This island, famous for diving and snorkeling for its acclaimed reefs, also amazes anglers as it features excellent flats in the northern part of the island. These lagoons make Cozumel one of the top fishing places in the Mexican Caribbean. Fishing here is diverse due to the abundance of fish in the crystal clear waters. What are the best flats fishing locations in Playa del Carmen and Cozumel? Although Playa del Carmen houses flats for fishing such as Ascension Bay and Boca Paila lagoons, many anglers prefer to cross the sea and go to the island of Cozumel where three beautiful lagoons rest. The Montecristo, Paso Balem and Rio de la Plata are a combination of inlets, coves, mangroves, sandy flats, coral flats, grassy flats, mud flats, and shallow crystal clear waters. Found 10 miles in the north of Cozumel, these lagoons are quite shallow, from 3′′ – 18′′ deep, and they are quite large. Each lake has the ideal flats habitat and environment to attract bonefish, permit, and other sports fish. Wind protection is a significant advantage of this area. In these three flats, fishing is done mainly while wading. You should be wearing foot protection such as wading boots, diving boots or hard sole water socks. The boats that will take you there can navigate the shallow waters. What fish can you catch in the Flats around Riviera Maya? The most famous catch in the flats is Bonefish, Permit, Tarpon, and Snook. Sometimes there are also Barracudas and Jacks. Lagoons shelter from the wind, which makes the waters calm and more comfortable to fish in. Bonefish – Plentiful all year around! 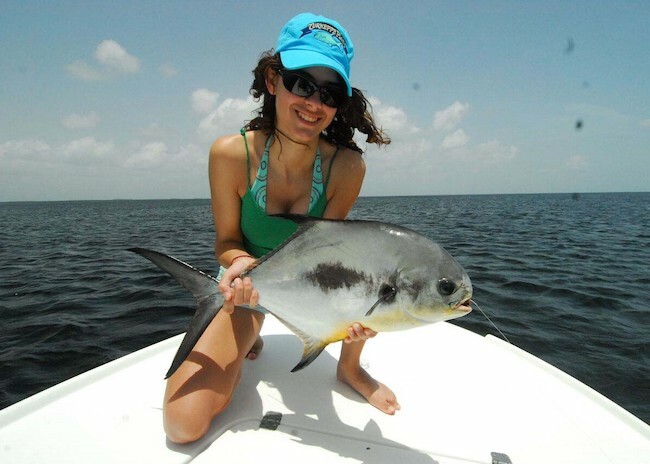 The flats are teeming with them, which make them the easiest to catch, therefore, the best fish to bait for beginners. They come in 2-6 pounds range, and usually found in schools and are opportunistic feeders looking for an easy meal. Permit – It is one of the ultimate playa del carmen fly fishing challenges. You should find a fly fishing guide who is skilled at finding them. They range from 6 to 14 pounds and if you are lucky, as big as 20-pounds. They are abundant from March to August. 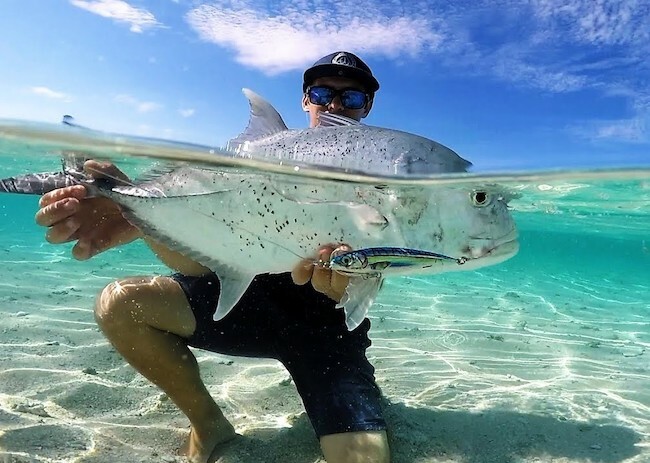 Tarpon – They are difficult to find because unlike the Bonefish, which is everywhere, Tarpons like to hide in the far reaches of the mangroves and shaded areas. The big ones, which are about 8 to 20 pounds, are abundant during May, June, and July. However, you will still be able to tarpon fishing all year round. Snook – Stubborn and unpredictable, Snook is considered as the most challenging fish to catch. The Snook fishing season is best during March until August when the water temperature gets them in and around the lagoon channels. Fly fishing day trips in Cozumel are a must-try! You haven't fished until you've traversed the waters just off the shoreline of Cozumel. Fly fishing is a memorable experience for both experienced and novice anglers and a wonderful bonding time for the entire family.